Blush Lacquer This Side of Paradise is a mint green with copper-bronze duochrome shimmer, copper microflakes, and a dash of holo shimmer. I wore this in three thin coats. It has a lovely soft effect and looks almost like a succulent. This has a medium dry time. This is also the original shade of the living room in my house build in 1929! 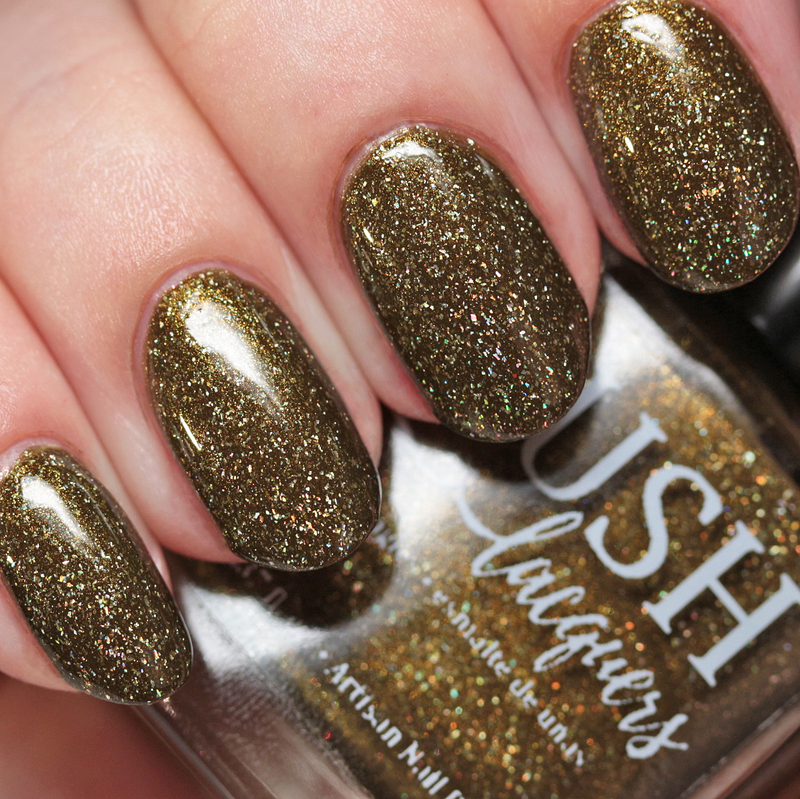 Blush Lacquers Toe Tappin' Flapper is an olive with holo microflakes and gold-to-green duochrome shimmer. I wore it in three thin coats, but two will work. 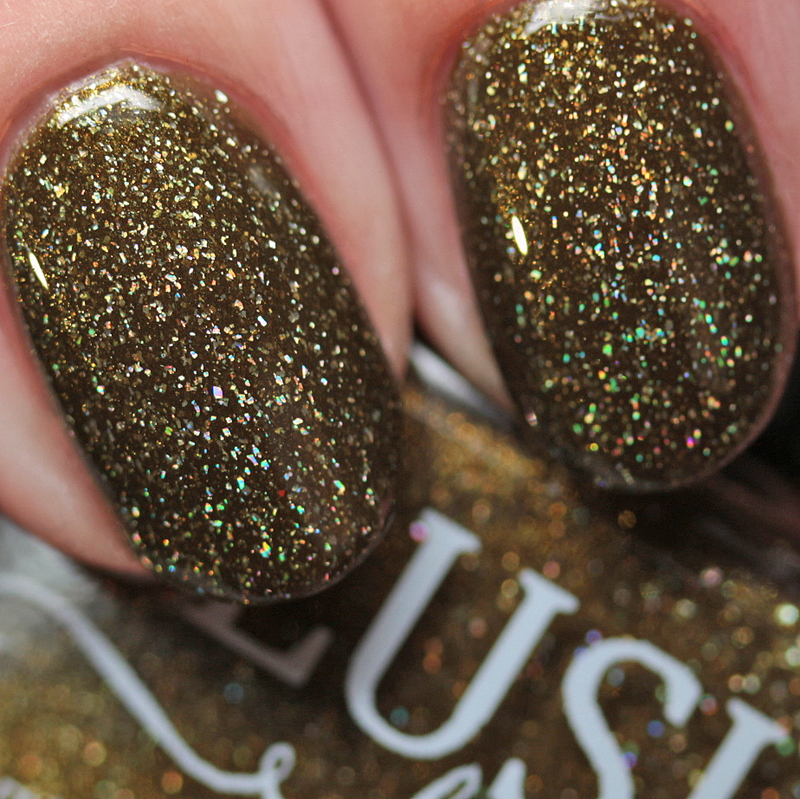 OMG, I love this shade! I really like olive and brown-toned greens and find them flattering on my skin tone. This was perfect, with a nice, smooth formula and lots of glow. 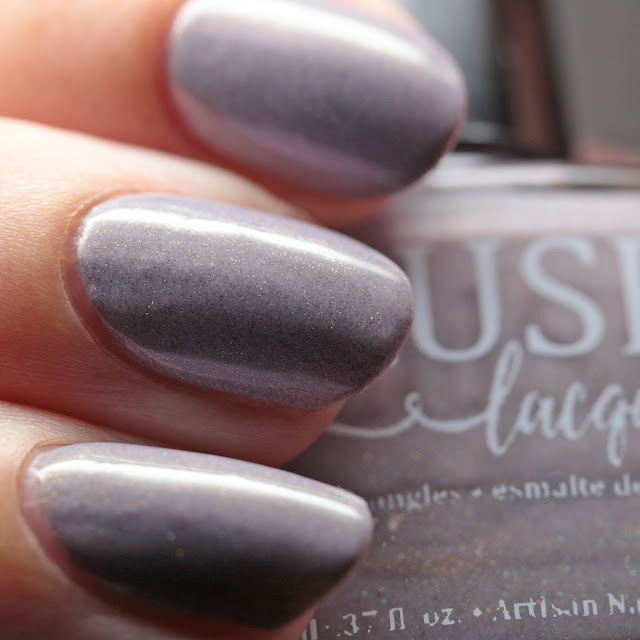 Finally we have the lovely and soft Blush Lacquers Wildest Dreams, which is a gray-toned lilac with scattered holo shimmer and multichrome pink-to-green shimmer. I wore it in three thin coats and it covered nicely without streaks. 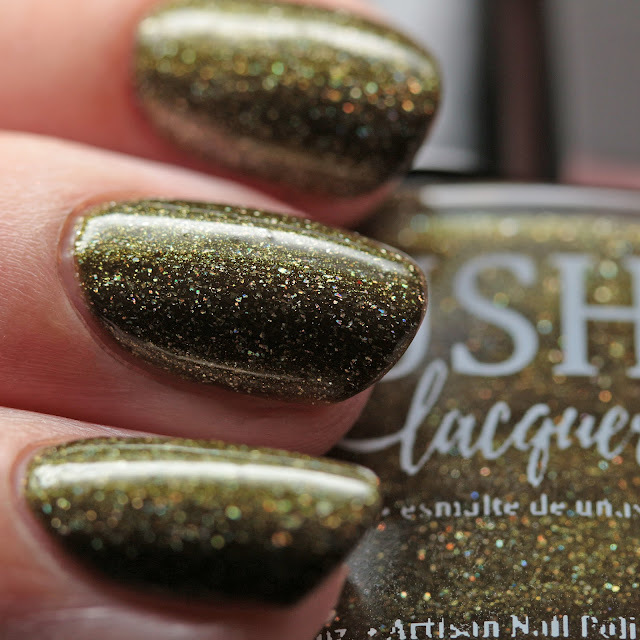 This one has a medium dry time, so I recommend patience and quick-dry top coat. This would be a great work-safe-with-a-kick shade. 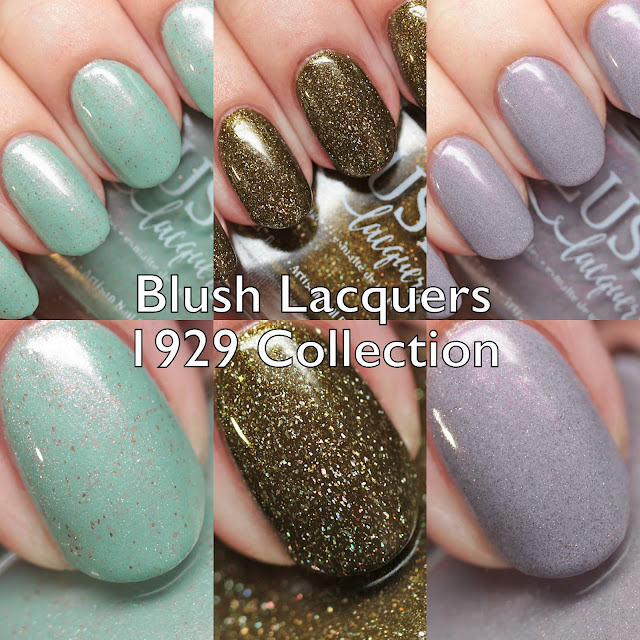 The Blush Lacquers 1929 Collection is available right now. If you missed it, I reviewed the first half here. As usual for Blush Lacquers, the quality is great and the finishes interesting and perfectly balanced. 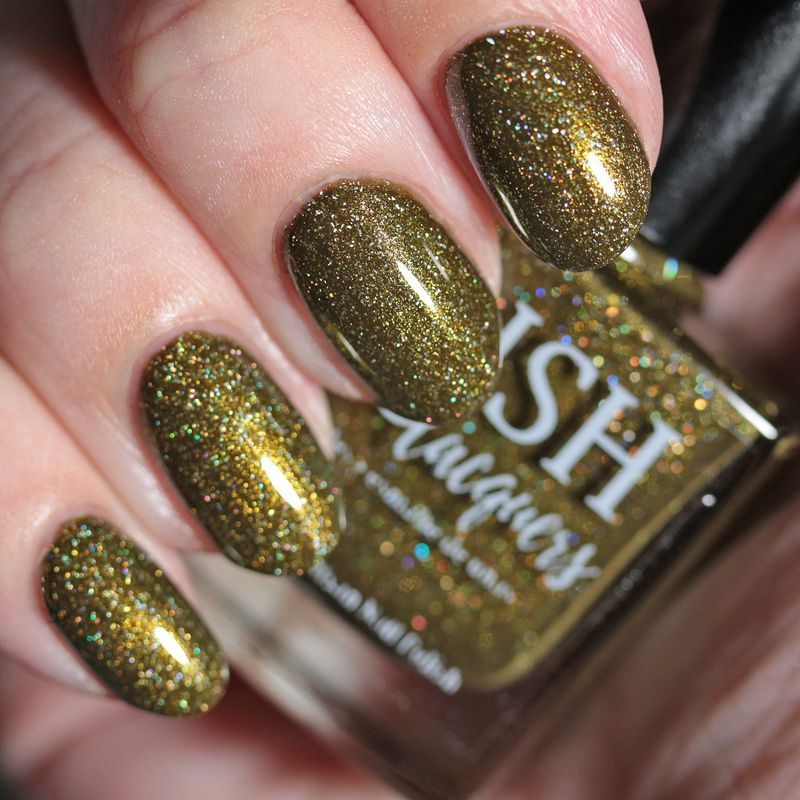 I have never regretted a single purchase, and I think I have most of the polishes released by the brand! Do you have one you like best? For me, I love them all a lot, but gotta go with my beloved olive!